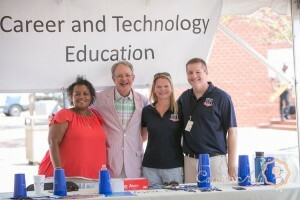 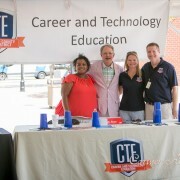 City of Charleston Mayor John Tecklenburg joined the CCSD Career and “Tecknology” Education Support Team for a quick picture at the recent Back to School Bash at Burke High School. 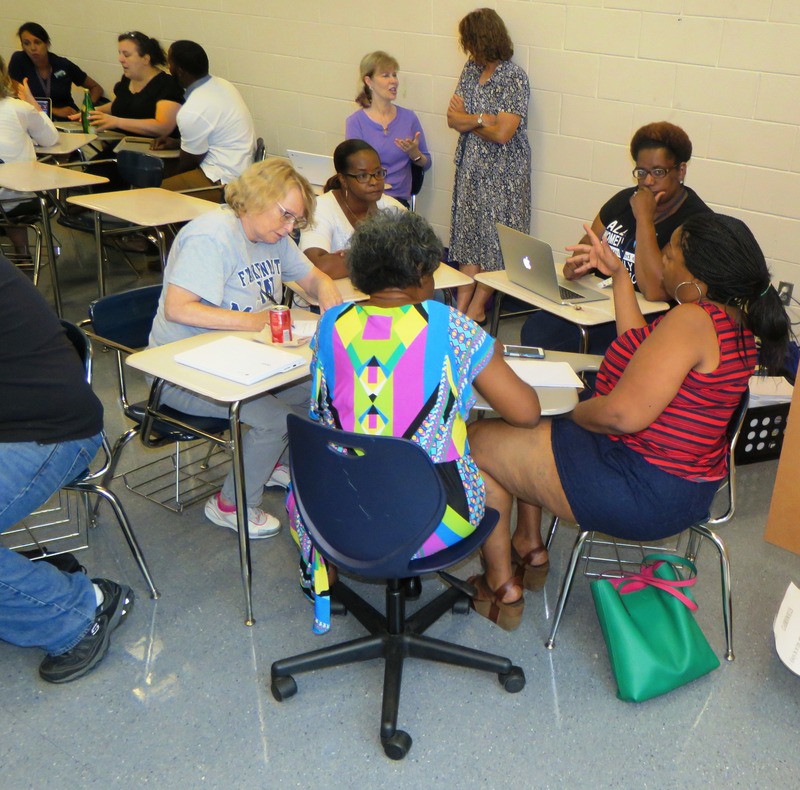 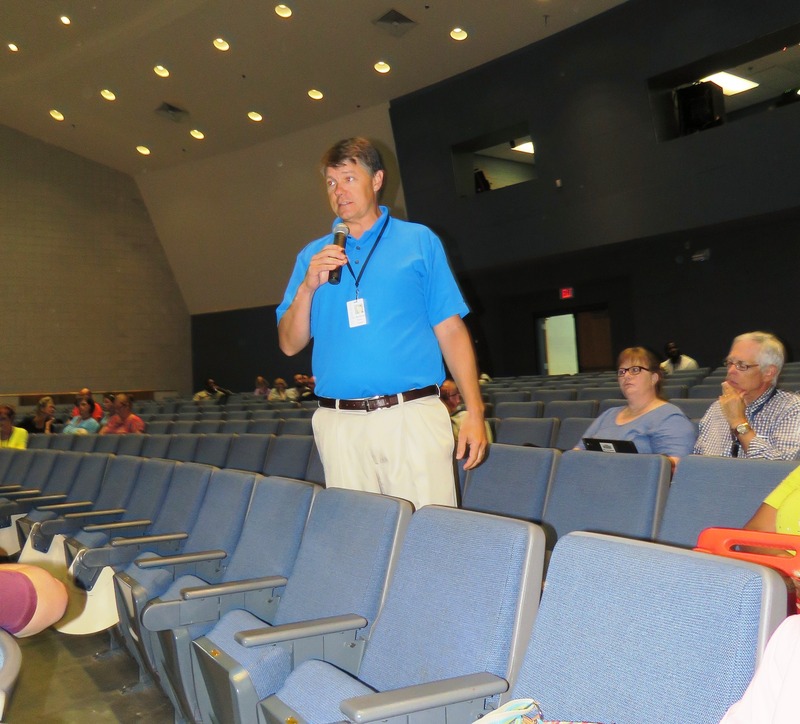 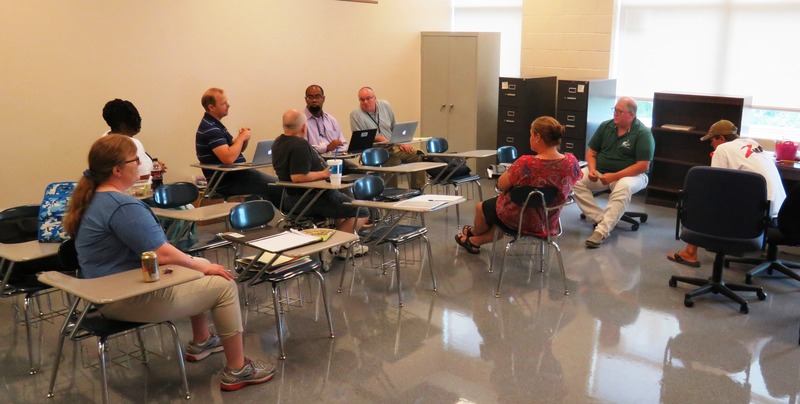 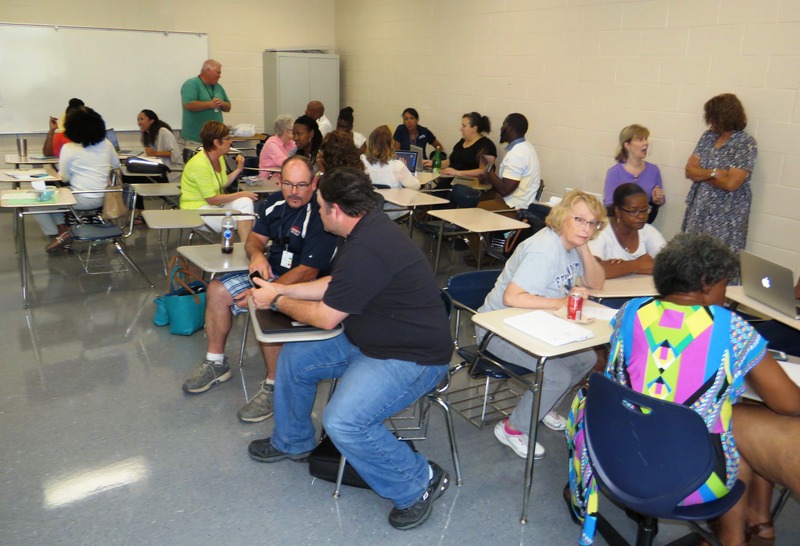 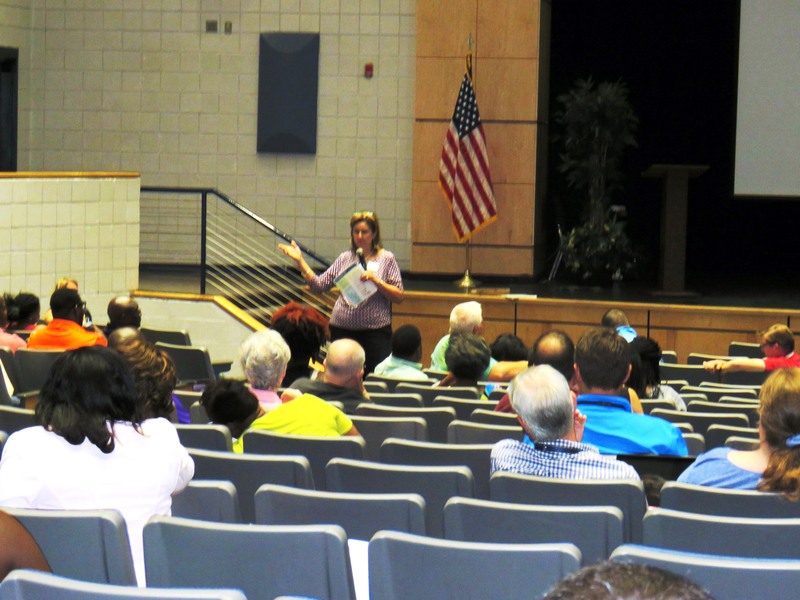 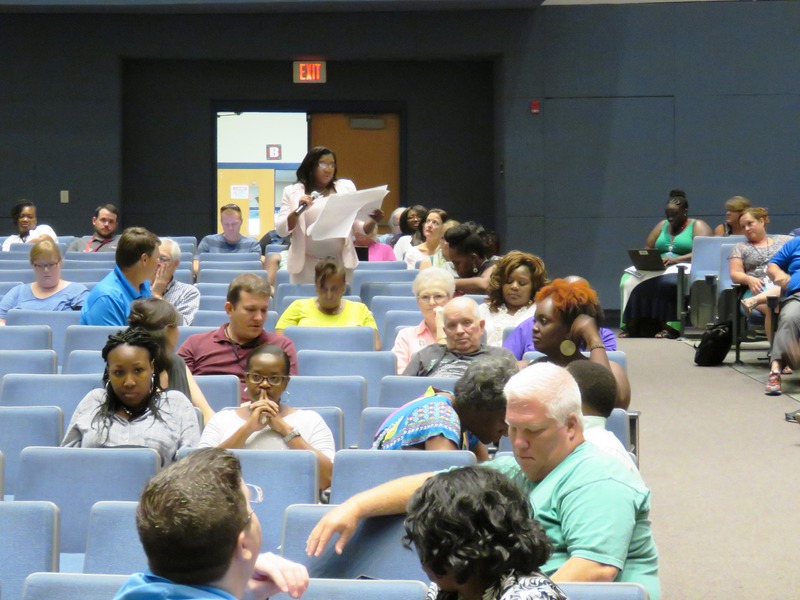 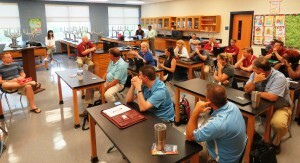 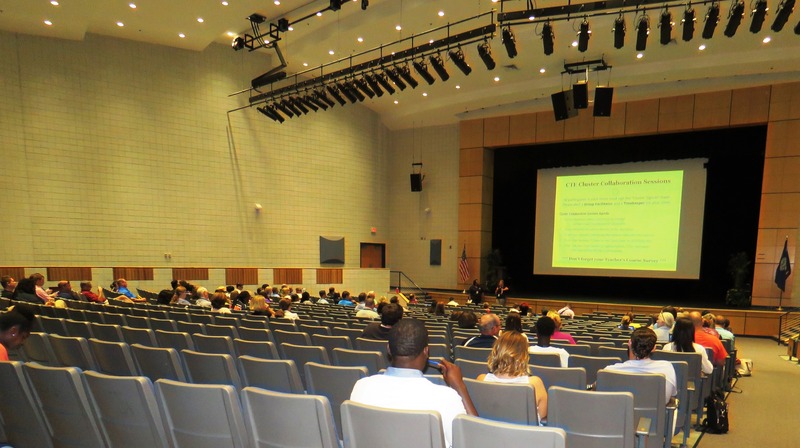 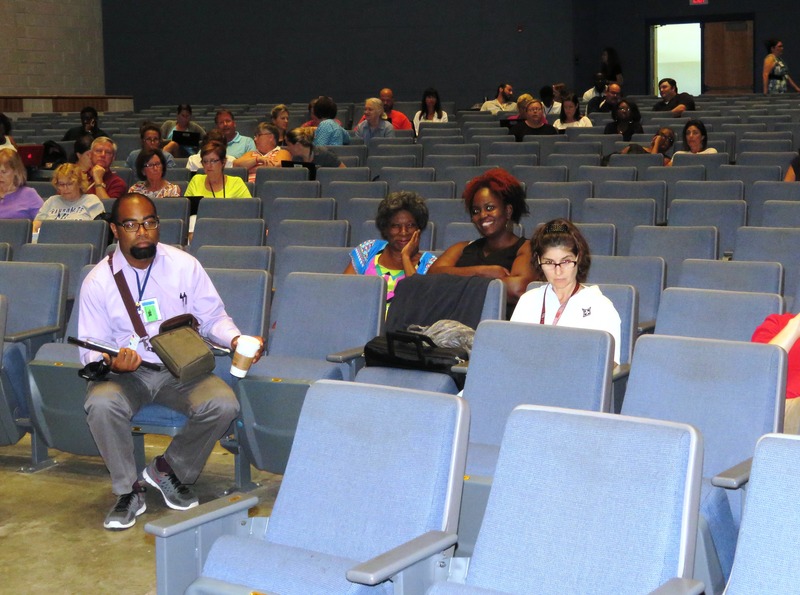 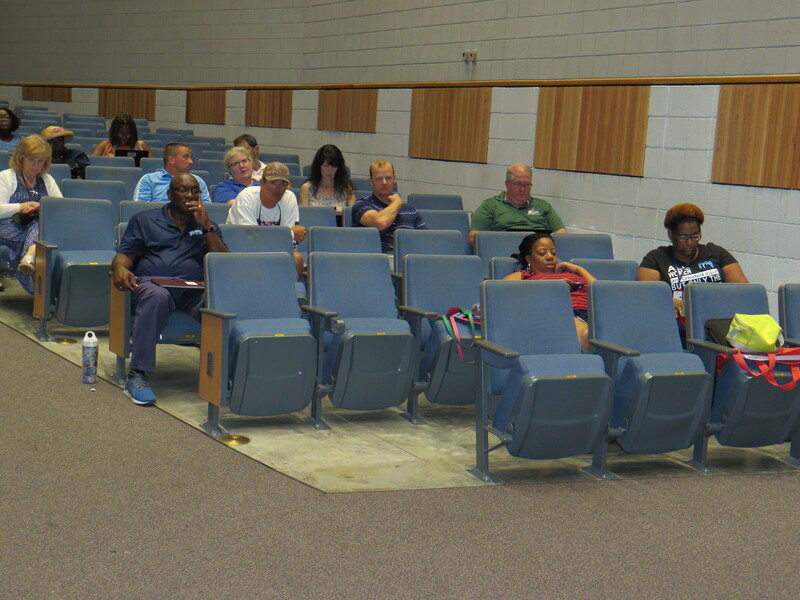 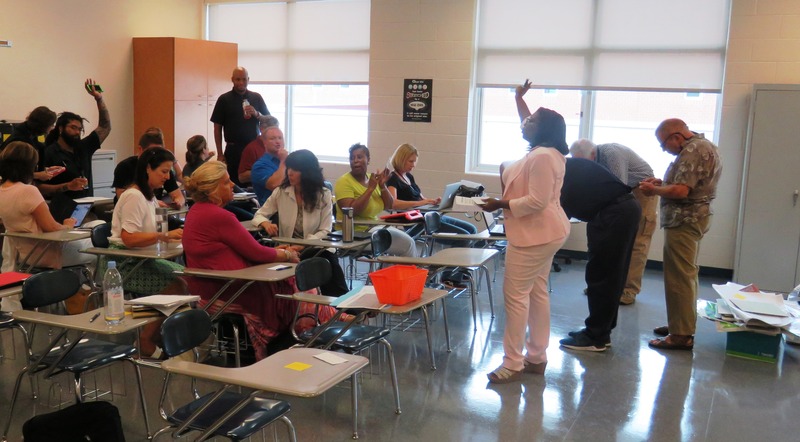 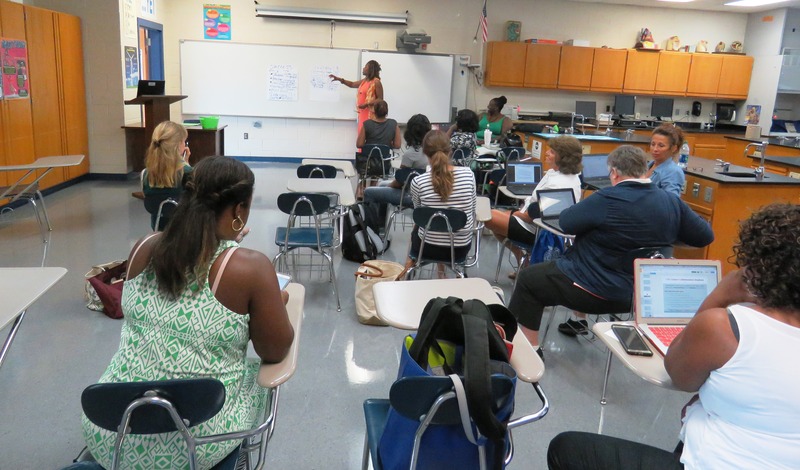 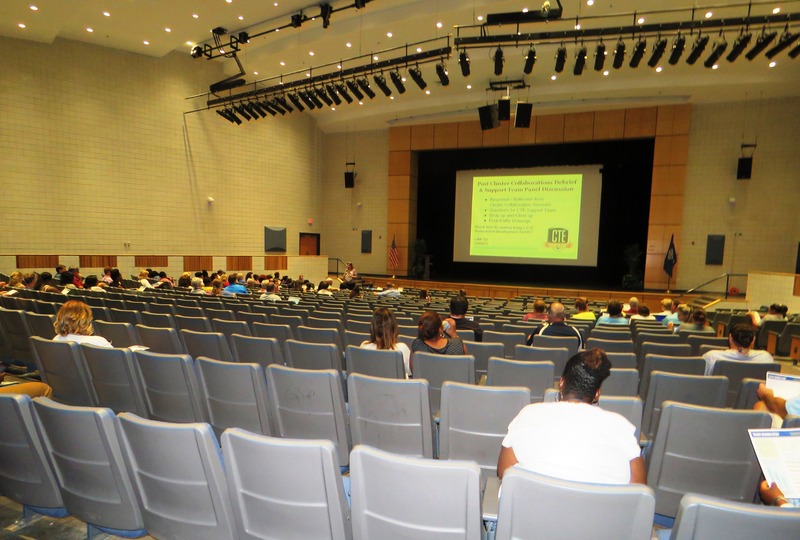 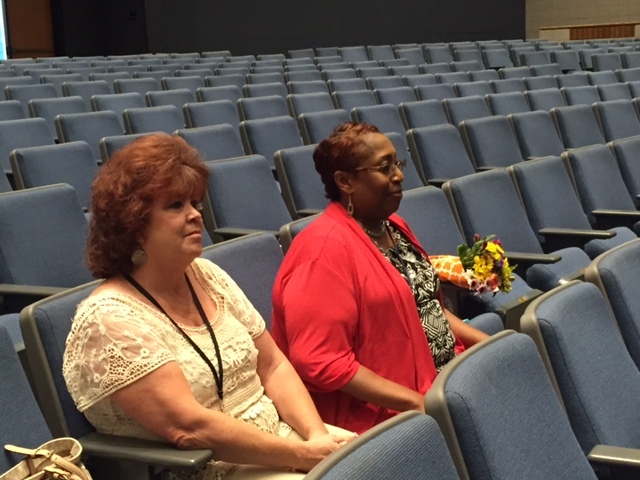 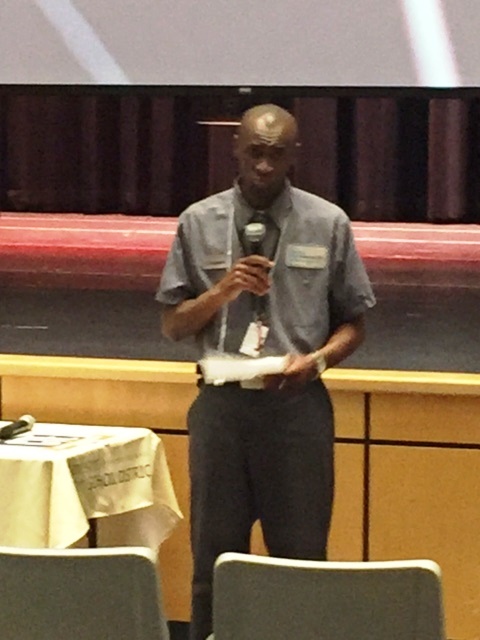 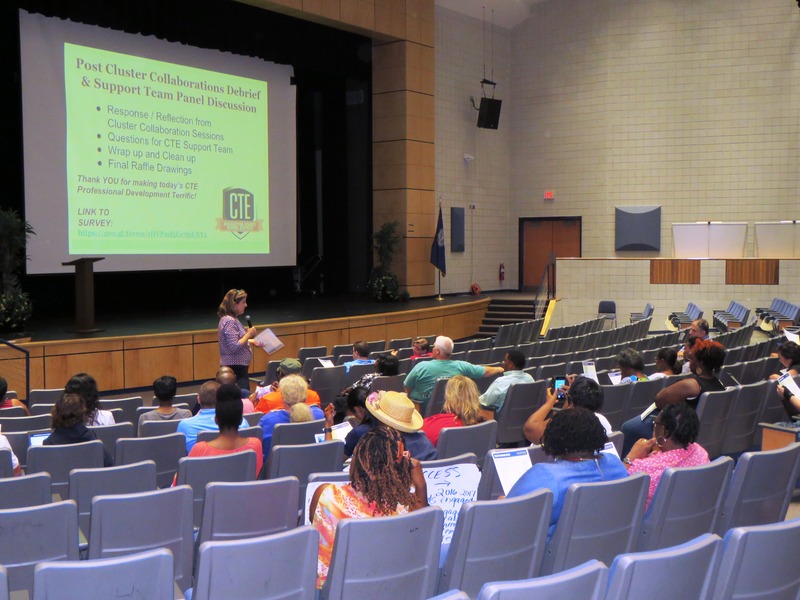 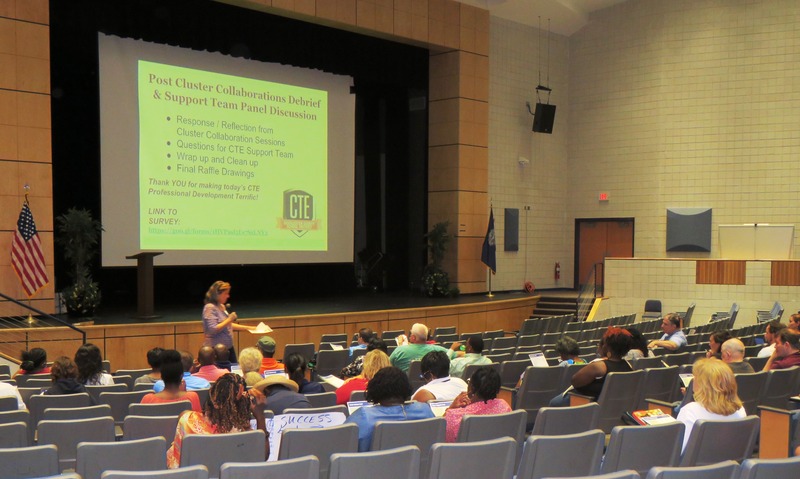 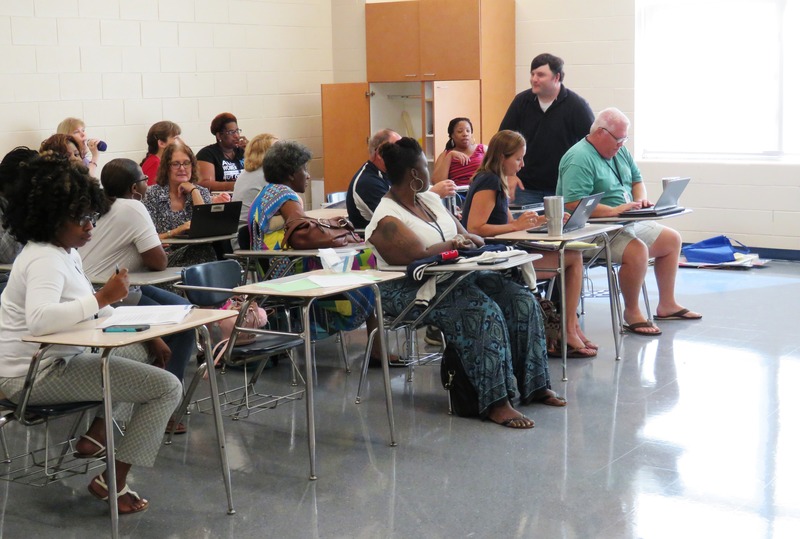 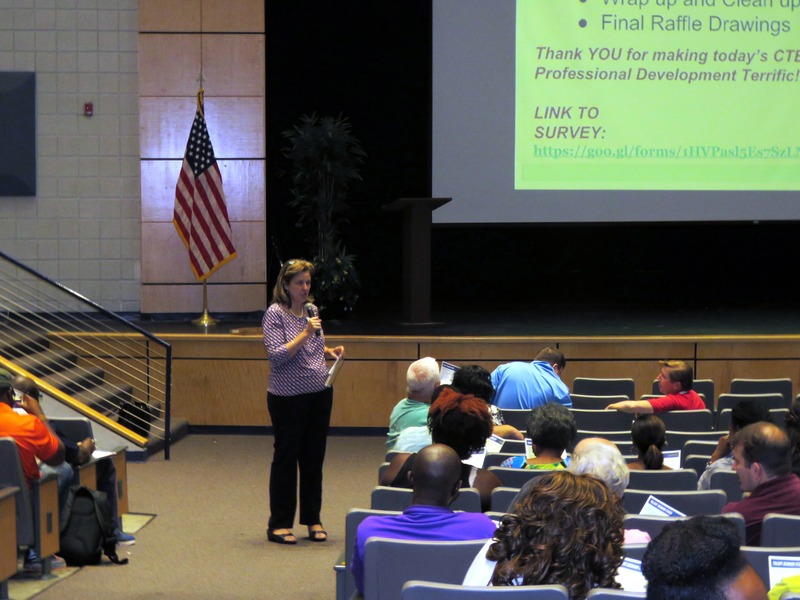 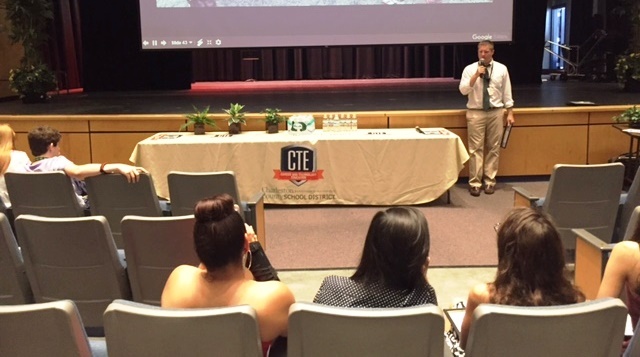 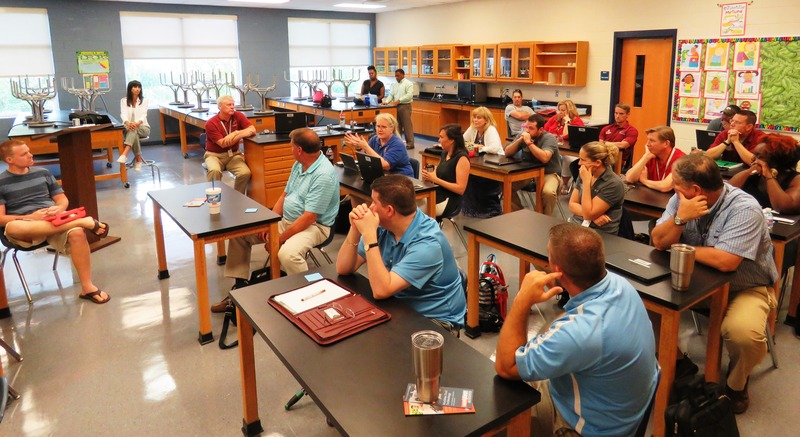 Career and Technology Education educators from middle and high schools throughout Charleston County School District met yesterday at Burke High School to prepare for the upcoming academic year. 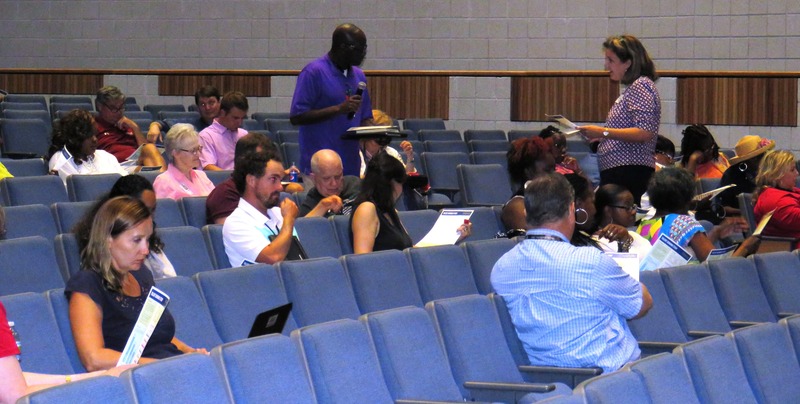 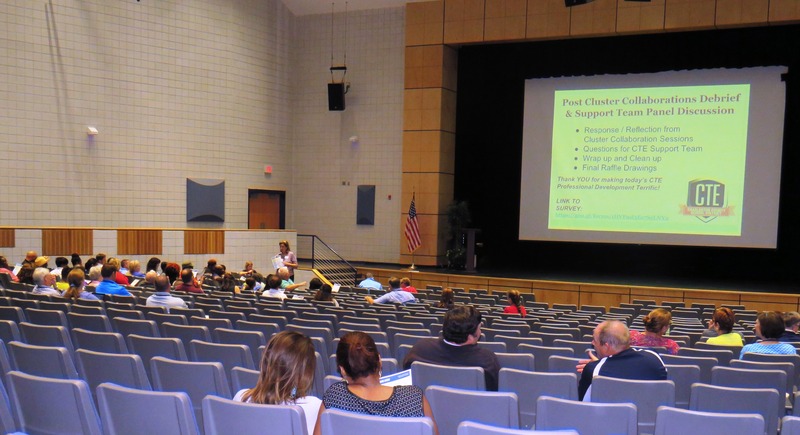 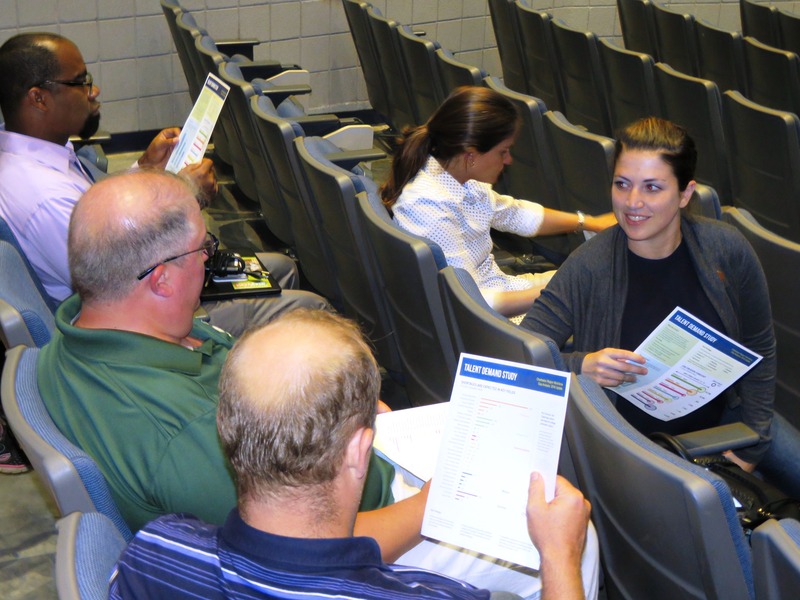 After the opening session in the Burke HS auditorium, participants broke into small groups for Cluster Collaboration sessions to discuss topics pertinent to their subject areas and share best practices. 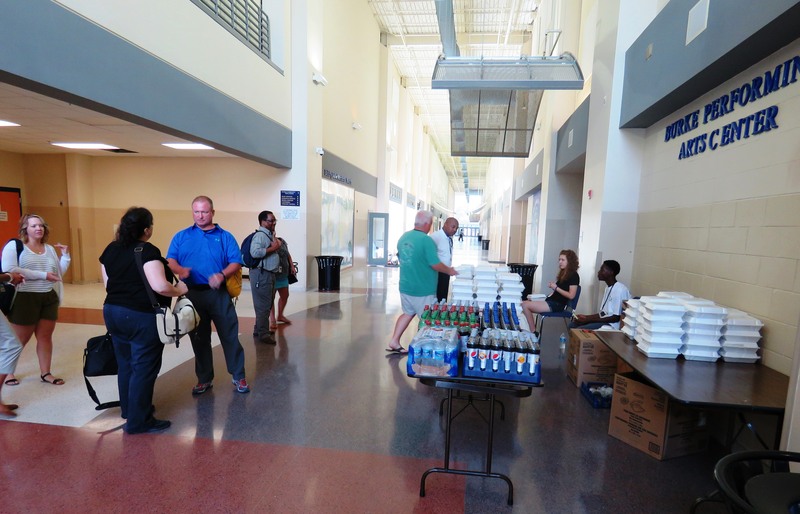 Everyone continued networking during lunch, delivered from Hello Deli, and then regrouped for the closing session back in the auditorium. 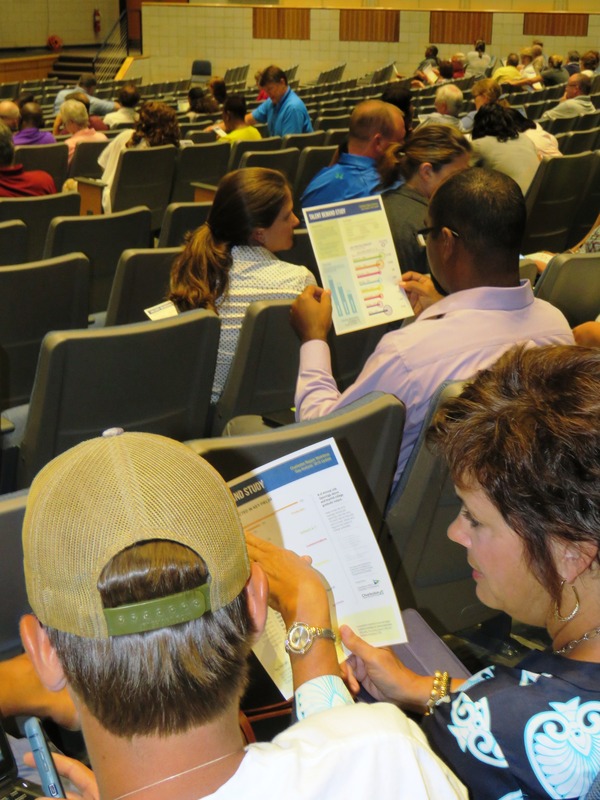 Coming in fresh from the Charleston Metro Chamber of Commerce’s State of the Region event, Anna Dassing, Interim Executive Director of College and Career Readiness shared the latest update to the Talent Demand Study for the Charleston Region. 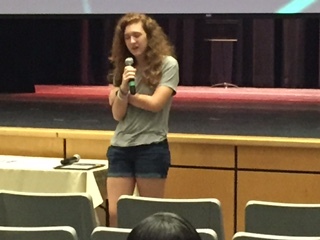 Ms. Dassing also described the Youth Apprenticeships Signing Event that was also a part of the chamber event as amazing, and encouraged the group to ensure their students were aware of the opportunity to “earn and learn” in high demand jobs in our region. 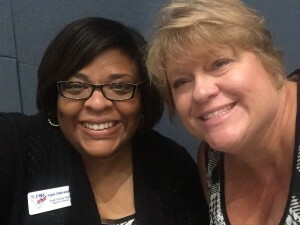 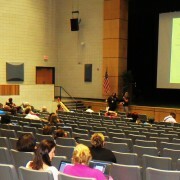 Thanks to all that made this day of powerful professional development possible! 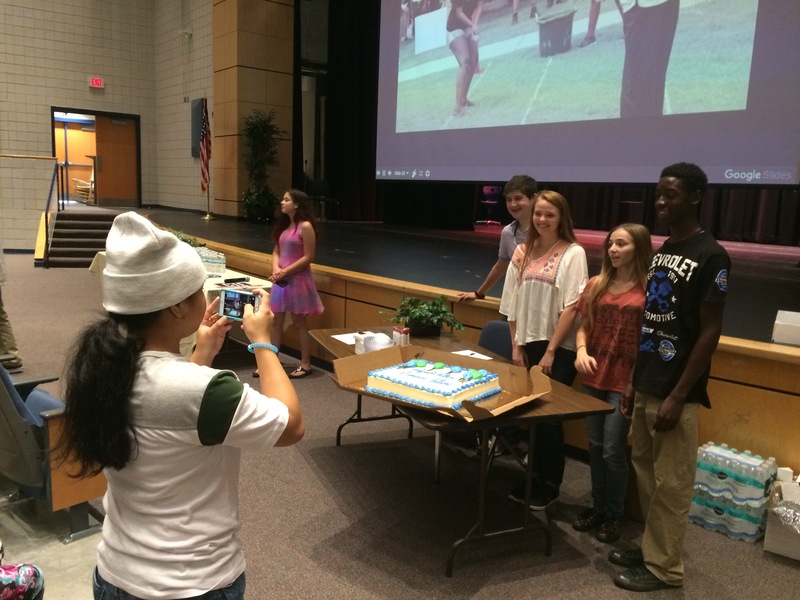 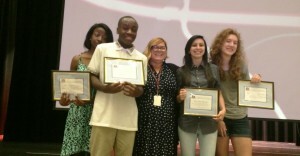 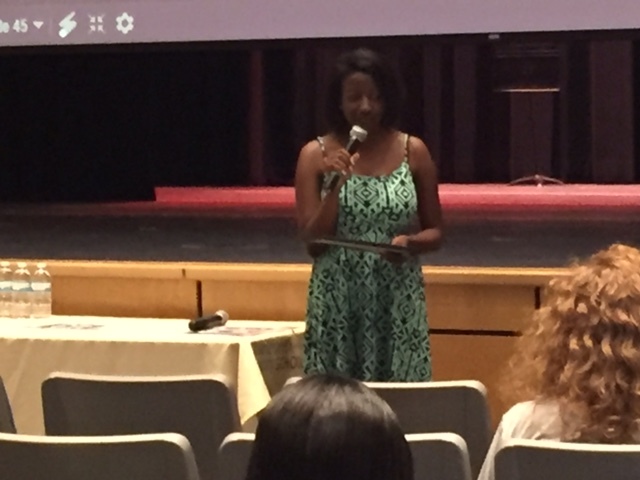 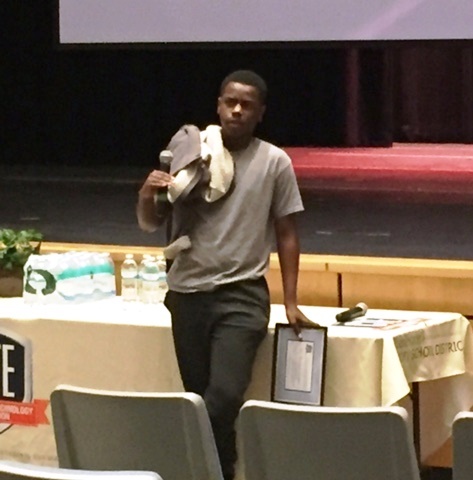 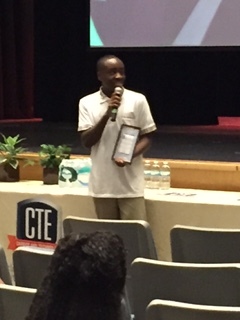 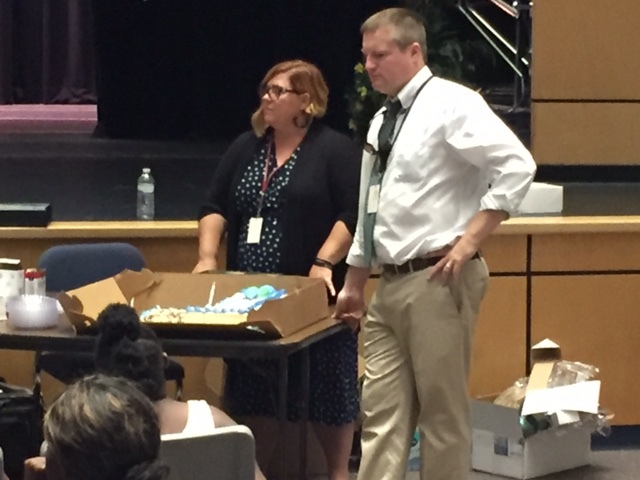 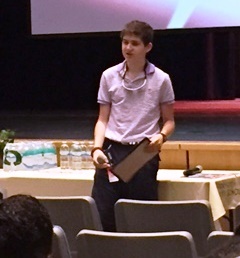 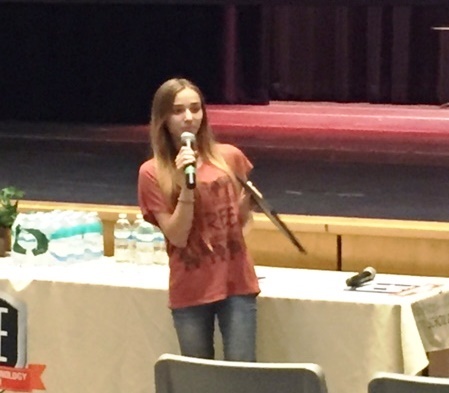 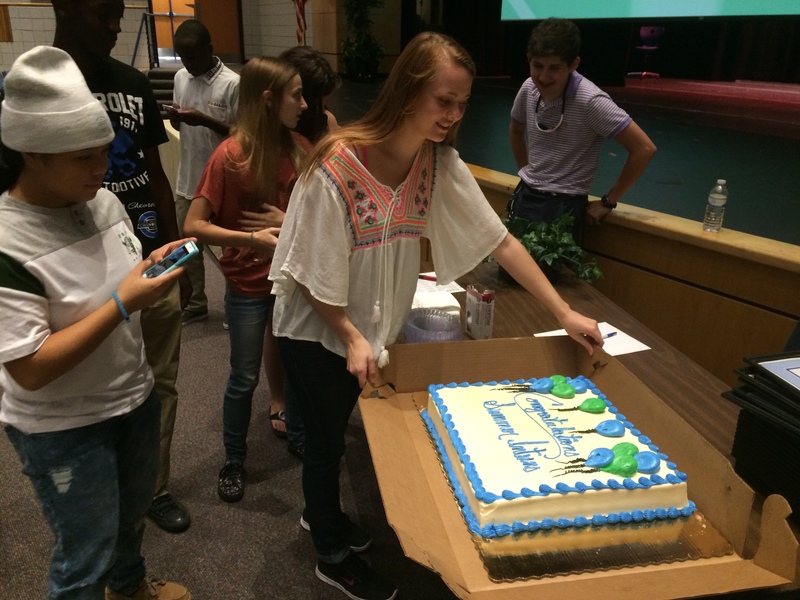 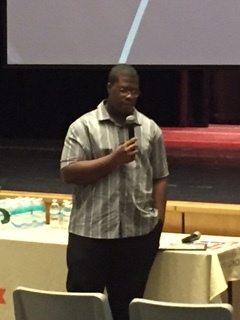 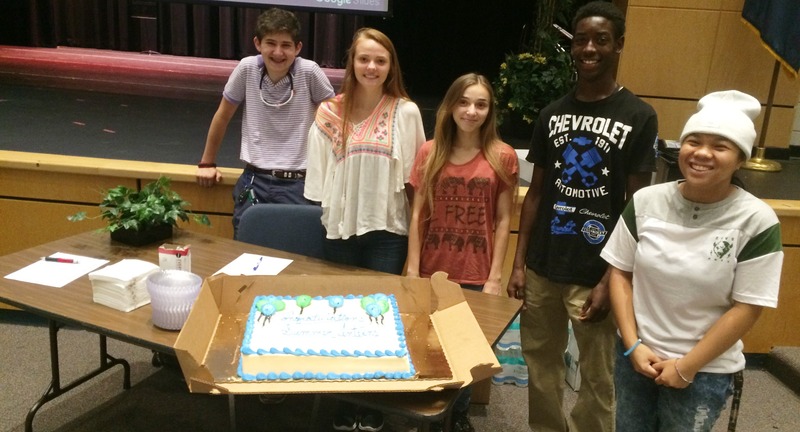 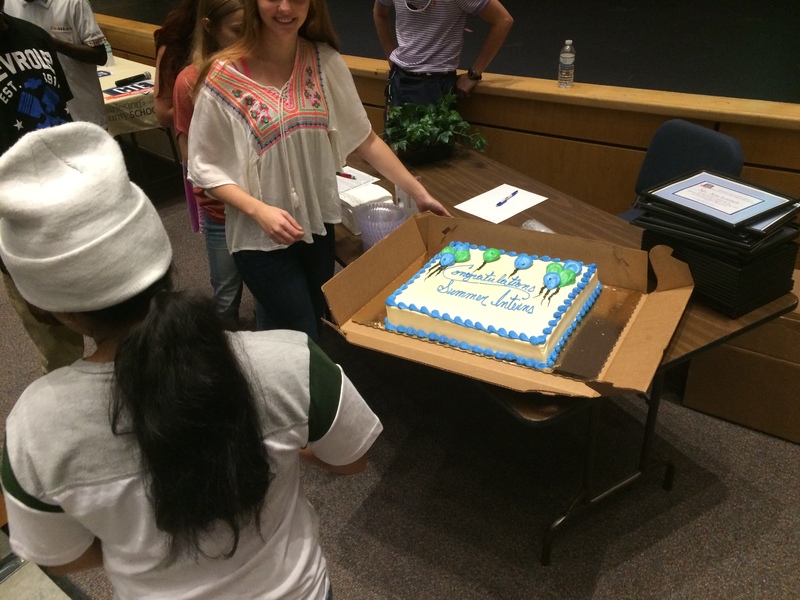 Summer internship hosts, students, and their families gathered in the Burke High School auditorium on August 4th to celebrate the end of the Summer Internships working with various departments in Charleston County School District. 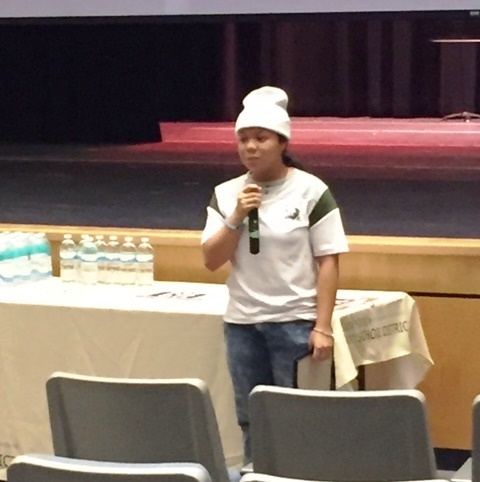 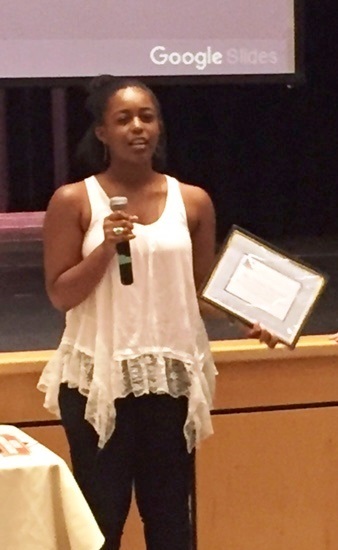 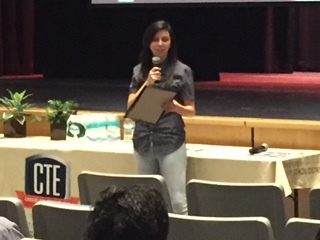 Each student received a certificate of completion and had the opportunity to share about their summer internship experience. 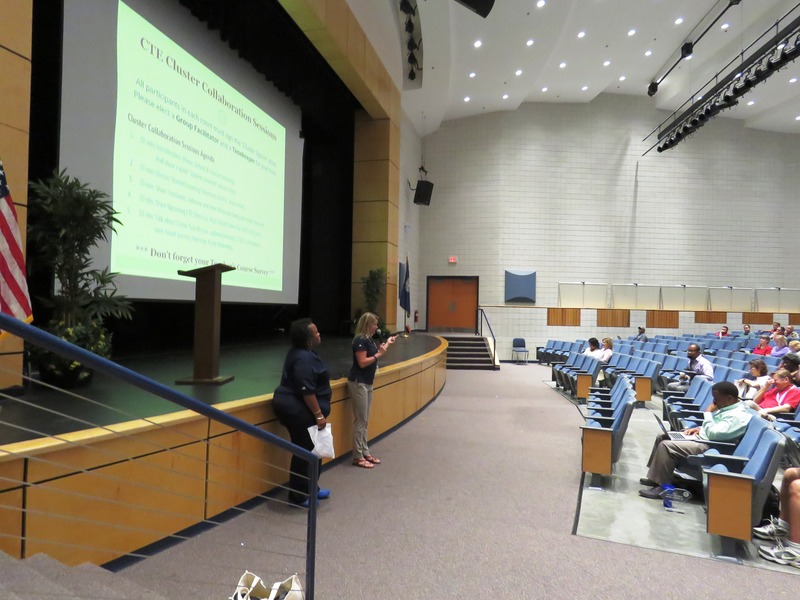 Representatives from departments that hosted the summer interns also spoke about their experience working with students. 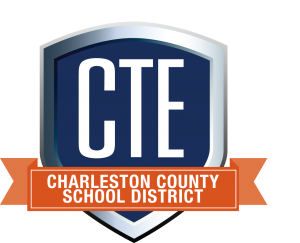 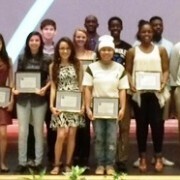 Thanks to everyone that made this summer’s CCSD internship program successful for 24 wonderful students from high schools throughout Charleston County School District! 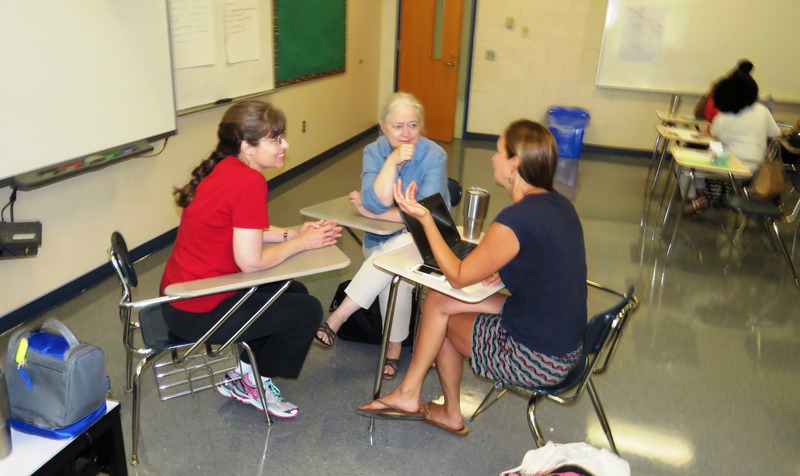 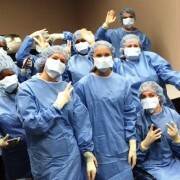 Please enjoy this slide show with pictures from a summer packed with students enjoying work-based learning experiences.